A total of 518 foreign workers’ death were reported at the construction sector since 2006, the Dewan Rakyat was told today. Deputy Human Resources Minister Datuk Seri Ismail Abd Muttalib said according to statistics recorded until Sept 30, nationality with the highest deaths were Bangladesh (216) and Indonesia (64). 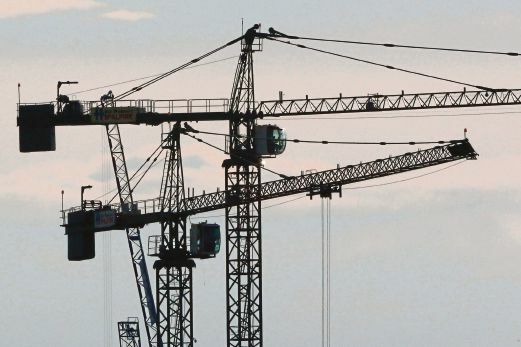 "This figure only covers foreign workers at construction sector. There are about 1.9 million legal foreign workers in various sectors in Malaysia,"
he said in reply to a question by Dr Michael Jeyakumar Devaraj (PSM-Sungai Siput). Ismail said a total of 5,340 cases of accidents at construction sites were recorded by the ministry up to September this year. This, he said, compared to the 3,670 cases involving 131 compounds and 57 cases brought to court last year. "The ministry, through the Department of Safety and Health, is committed to ensure safety, the workers’ welfare and public in the surrounding and prevent accidents at construction sites. "Our efforts include regular meetings with related agencies including Safety and Health Council, Congress of Unions of Employees in the Public and Civil Services (Cuepacs) and Malaysian Trades Union Congress (MTUC), as well as legal actions and regular checks at construction sites."